Many supply demand traders find their entry levels easily, but they have trouble finding exit point, risk management and trade management. This EA is created just for that. This is the only tool you need to trade Forex. This is not an automatic Supply Demand EA! You have to find and draw your levels yourself and EA will take care of the rest. EA handles position openings, automatically calculates the risk you define, and creates a take profit level based on the expected movement in the time you want. 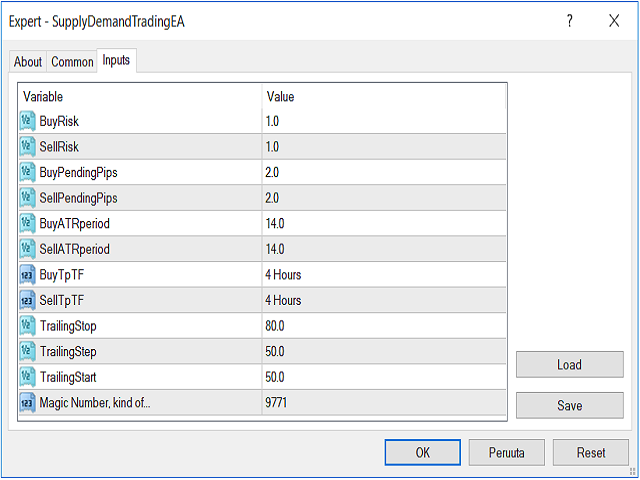 EA also has a built-in trailing stop for risk and trade management, which is fully adjustable to your needs. 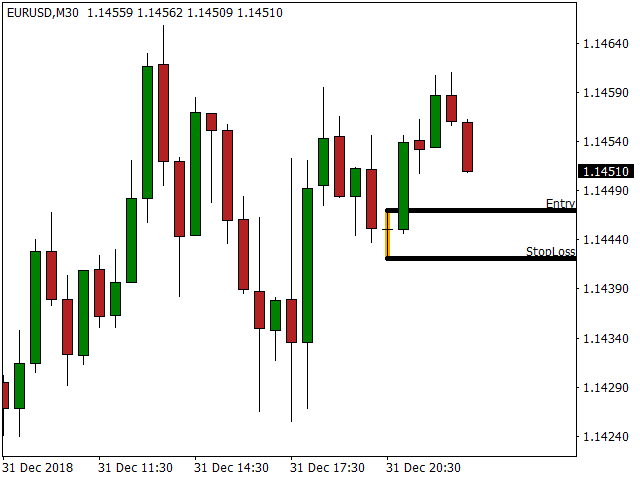 Mark your levels using the Fibonacci retracement tool (see pictures). That's all, EA will do the rest. Easy and simple. When the price comes inside the level, EA creates a pending order at the end of the distance you set and opens position when the price moves by the distance you specify. If the price drops straight through the level, EA will remove the level and the trade will not be taken. EA will also remove the level after the trade is taken. 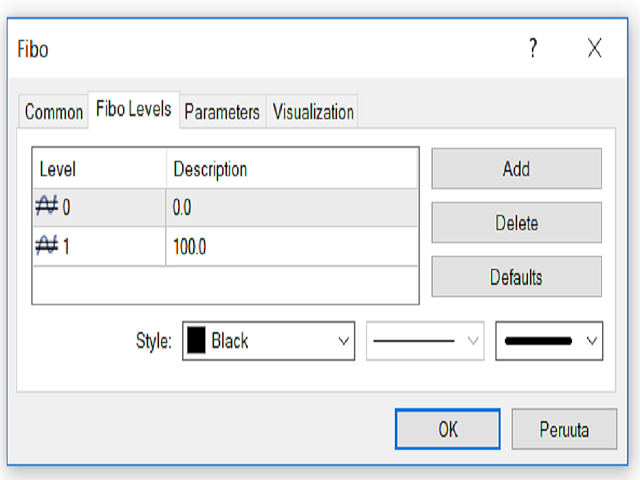 Prepare the Fibonacci tool by removing all levels except levels 0 and 1. 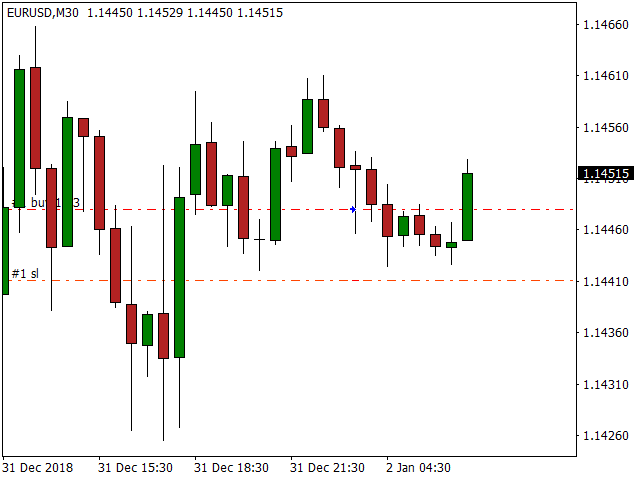 Level 0 is stop loss and level 1 is entry. (see pictures). You can rename the levels as shown in the pictures below if you want. Make sure that you draw the levels in the correct direction! BuyRisk - Risk % of balance for buy orders. SellRisk - Risk % of balance for sell orders. 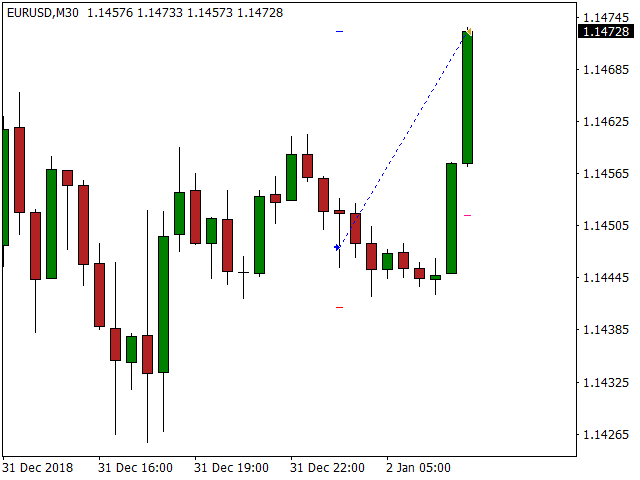 BuyPendingPips - Defines how far from the level buy stop order is created. 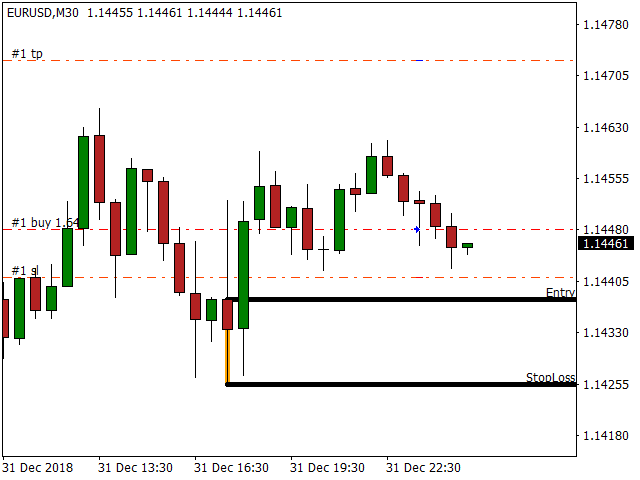 SellPendingPips - Defines how far from the level sell stop order is created. BuyATRperiod - ATR period for create buy take profit level. SellATRperiod - ATR period for create sell take profit level. BuyTpTF - On what time frame you want to create a buy take profit level (A bigger take profit time frame than the time frame taken for a trade means a better risk reward ratio). SellTpTF - On what time frame you want to create a sell take profit level (A bigger take profit time frame than the time frame taken for a trade means a better risk reward ratio). 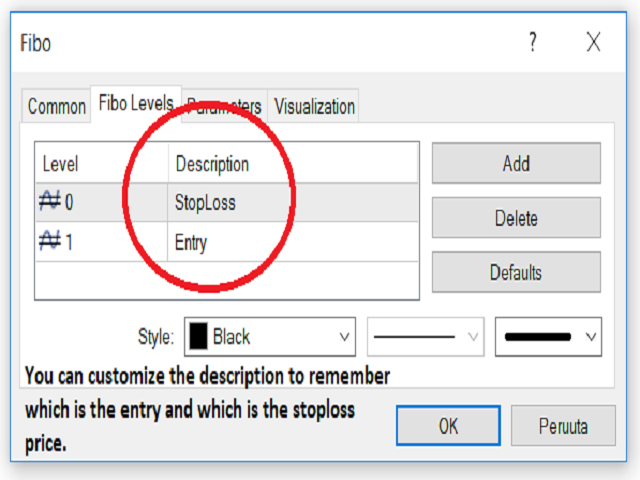 TrailingStop - Size of the trailing stop loss level, % of profit (current price - open price). TrailingStep - Distance that the price must travel before the stop gets modified. A lower value changes the stop more often, raise the value if you want the trade to be modified more rarely. TrailingStart - % of the take profit. 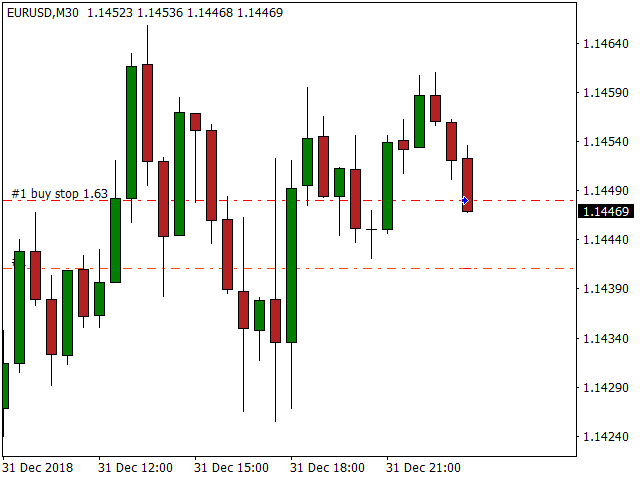 The trade must move the amount you specify before the trailing stop is activated. Magic Number - A magic number is a unique number that is used by EA to track open positions.